Energy Balance: Deep Down and Dirty: the Science of Soil. This is such a brilliantly crafted programme (http://www.bbc.co.uk/iplayer/episode/b040y925/Deep_Down_and_Dirty_The_Science_of_Soil/ Video now removed), that I decided to summarise its contents here (along with my own comments). The microscopic photography is just amazing https://www.youtube.com/watch?v=gYXoXiQ3vC0, revealing the structural components of soil in intricate detail: grains of sand, silt and clay, and the creatures that live in it, most of which are invisible to the naked eye: nematodes, protozoa, mites, bacteria, fungi etc. http://www.ncbi.nlm.nih.gov/pubmed/23469709 It is its soil that causes the world to spring into life, in this eponymous season, awakening from a winter torpor. Originally the Earth was barren rock, but was transformed into a vibrant living planet by soil. So where did the soil come from and why is it so important? What is it that gives soil its amazing life-generating force? In a forest, everything is supported by what is inherently in the ground, whereas in a human-tended garden or farm, fertilizers are added to replenish what is lost from the soil. In the forest too, those nutrients must also be replaced, but this is largely accomplished through the symbiotic balance of natural processes. The forest floor is covered with leaf litter from last season's life. Plants cannot use this to grow on, because the fallen leaves are too tough to be broken down and digested: thus, any nutrients they contain are locked within them. Samples taken using a soil-corer reveal intact leaf litter as a top layer, but below that is a much darker layer where the particles are smaller and much more broken down, and below this is topsoil. The different layers are described as soil horizons and collectively as the soil profile. Below this, the individual components disappear, so that the trapped nutrients are ultimately released into the soil. The key organism for breaking down the leaf litter is a fungus: strictly, mycelium - the vegetative part of the fungus - which we often observe as fine, white threads that grow out from dead wood, leaves etc. The mycelium releases enzymes to break down wood or leaves. Fungi are the only organisms on Earth that can decompose wood. As the fungus breaks down the wood and leaves, a rich material called humus is formed. The fungus also feeds an entire world that we are not normally aware of, called the soil food web http://www.ncbi.nlm.nih.gov/pubmed/23469709, consisting of millions of tiny creatures, all of which are dependent on the nutrients released by the fungus. There may be a million different species of organisms in the soil, including bacteria, nematodes, protozoa, mites (arthropods), tardigrades (water bears), and rotifers (with a tail that appears to revolve like a wheel). A single teaspoonful of soil may contain a billion different organisms. As they eat, and are eaten themselves, along with their excrement, these creatures disperse nutrients that were initially released by the fungi. Breaking down all these tough materials is too hard a job for the fungi to do alone, and earthworms are their greatest ally. The earthworm has been called an ecosystem engineer. There may be two million earthworms in an average field. Charles Darwin studied earthworms for over 40 years, fascinated by the question of why they are so important in soil. While the majority of the organisms in the soil are invisible, it is not necessary to make recourse to a microscope to determine the health of the soil food web, since the abundant presence of earthworms is a clear indicator that all its members are present in mutual harmony. Earthworms dig burrows in the soil, which provide air for everything that lives there, they digest dead leaves, unlocking their trapped nutrients, and they excrete the black-brown material that is a visible component of the soil. Worm-casts are frequently visible on the soil surface: calling-cards from the nocturnal adventures of earthworms. Nothing is faster than an earthworm in breaking down plant matter, and in an average field one and a half tonnes of plant matter are processed every year. Yet they look like a simple fleshy tube, so what's going on inside the worm? It turns out that the worms are full of bacteria, and so the worm ingests the leaves and the bacteria finish the job of breaking down the plant matter. The worm produces mucous/sugars that the bacteria like to feed on, and the conditions inside the worm of moisture and pH are ideal to support the bacteria. Inside the worm the concentration of bacteria is 1,000 times greater than exists in soil. There is more life within the soil than on and over the ground above it. A complex system of animals, fungi and bacteria work to cycle nutrients from the dead to the living and keep the soil fertile to support the life above. Soil is maintained fertile by the continual creation of new soil. This amazing synergy occurs in the upper layers of the soil, and we might ask whether soil consists only of plant material? By taking soil and heating it very hot with a blowtorch flame, it is found that some 30% of its mass is lost, i.e. that from organic matter (plus adsorbed water), leaving 70% which is the mineral component. The soil particles disintegrate during the process. On looking at depths below the topsoil, exposed from a landslip, the profile of layers (soil horizon) is visible. At the top, there is topsoil, roots etc., but on going successively further down, the dark organic material is seen to disappear, and the deeper layers consist mainly of fragments from the underlying rock. Finally there is bedrock, which is the foundation of soil development. The largest soil particles are sand (seen as round grains, of millimeter to sub-millimeter dimensions), while the smallest particles are clay (of nanometer size); silt is of an intermediate particle size (of the order of microns). In relative terms, if a sand grain were the size of a beach-ball, a clay particle would be a pinhead. The particular composition of a soil determines the behaviour of that soil and most importantly how it supports life. By comparing three cylinders, filled respectively with sand, silt and clay, water is seen to percolate relatively quickly through sand, but only very slowly through clay, while the silt is somewhere in-between. This demonstrates drainage, or how well water can move through different kinds of soil. Within the clay, the gaps where water can penetrate are exceptionally small, hence the tortuous movement of water through it. Indeed, using scanning electron microscopy, it is apparent that in a clay the particles are so small that there are no defined spaces between them, whereas there are clear gaps between the sand and silt particles that water can move through. Particles of clay have tremendously greater surface areas than those of silt or sand, and also carry a surface electric charge. This means that nutrients and water are attracted and held to the clay surface, from where they can be taken up by plant roots. There is a compromise, in that if there is too much clay, the soil acts like a sponge and quickly becomes waterlogged, while the water runs through sand too quickly, leaving the soil dry. An ideal soil has all three components, with adequate but not too rapid drainage, and enough clay to retain nutrients and water. In an ideal soil, all three components work together, to support the microbes etc. that live within it. Good soil can support all plant life on earth. How did the very first soil come to exist? In the past, glaciers would have scoured rock clean of any previous soil. What could begin to break up something as seemingly permanent as rock? Water pooled in the rock fissures and expanded when it froze, providing sufficient force to break the rock apart - this is called physical weathering. Next is the process of chemical weathering which starts with rain, which is slightly acidic from dissolved CO2, and thus can dissolve the limestone component of the rock. When the limestone is dissolved, sediments remain. The sediments are not yet soil, but it is the growth of lichens on the rock that begins the process of soil formation in earnest. A lichen may be thought of as a fungus and an algae in one body. The fungal part of a lichen can chemically attack the rock, by the excretion of an acid. Over time, generations of lichen grow one on the other, the new on the dead, while the dead remains form organic matter and when this mixes with the sediment, soil results. From barren limestone, the processes of weathering and biological activity generate soil. The different regions show that in some cases the process is just beginning, whereas in others it has been ongoing for thousands of years. Soil is the boundary where the barren rocks meet the riot of life above. The whole provides a complex ecosystem, where life creates soil, breaking down organic matter and forcing rock apart, and yet that life is dependent on the same soil for shelter, nutrition, habitat and anchorage. A delicate balance therefore exists in the life of the soil: challenge one and you challenge the other. However, a new and mighty force has impacted on the soil: Humankind. We have mined soil, built on it, farmed on it, and in places drained it. Our actions have had consequences we never imagined. In East Anglia the fen-land has been drained into the sea, using dykes. As the U.K. population grew, rivers and lakes were drained to plant crops. It had been long known that when land was drained, it tended to sink. Holme Fen is the largest lowland birch woodland in the UK, and on the edge of the former Whittelsey Mere basin. In 1851, the mere was drained, with the result that the raised bog, reedbed and fen habitat, which would have surrounded the mere, dried out and collapsed over time leading to the formation of the birch dominated woodland of Holme Fen http://www.naturalengland.org.uk/ourwork/conservation/designations/nnr/1006079.aspx. The dramatic illustration of the degree to which that land has sunk is the Holme Fen Post, which was set at ground level in 1850, but is now 4 metres above ground level! It is fortunate that even after drainage, the land remained too wet for ploughing and, over most of the site, the peat currently retains a depth of around 3 metres. Peat forms in wetland environments, and is waterlogged, acidic and low in oxygen. In combination, these factors impede the rate of decomposition of organic matter, which accordingly accumulates. Plants grow using CO2 from the air, and so if their remains are not decomposed when they die, they build up, providing a "carbon sink". Once the water is removed, oxygen enters the soil allowing bacteria and fungi to breathe and the organic matter is decomposed; hence, formerly stored carbon is being released into the atmosphere as CO2. It is thought that fens are losing about 4 million cubic meters of peat = 1-1.5 million tones of CO2/year, with thousands of years worth of captured carbon being converted to CO2 in a mere period of decades. Increasing populations led to greater areas of land being turned over to the plough. Intensive farming can lead to nutrient depletion, ploughing and tilling can destroy the soil structure, while heavy irrigation can increase the toxicity of soil. These are all contributors to soil degradation, making it susceptibile to erosion from wind and water. By the 1930s, vast swathes of land had been turned over to food production from Canada down to Texas, which led to the infamous dust bowls. Intensive farming had weakened the structure of the soil so it couldn't hold itself together, and when it dried out it simply blew away. 100 million acres of land were affected, as a result of which 2.5 million people were driven off the prairies. The potential problem is far more severe now that there are 7 billion of us on the planet, or more than the total number of humans who had ever lived, up to the beginning of the 20th century, and we are over-cultivating the soil, to produce ever more food. When we talk about an impending food crisis, it is really a soil crisis that confronts us. A farmer at Ross on Wye was brought to the brink of ruin, since massive gullies opened up in his field. The problem was that the soil had been weakened by intensive farming, and was simply washed away by the rain, taking his asparagus crop with it. The soil was exposed the whole time, and to avoid water standing around the crop, he planted it up and down in rows, so that the water ran off, but carried soil with it, producing gullies that became ever deeper, on down the slope. Water erosion has proved to be a devastating problem in the U.K. We have had five sequentially very severe years of storms, culminating in the storms of 2013 when the U.K. suffered unprecedented rainfall, leaving regions such as the Somerset Levels inundated for months http://ergobalance.blogspot.co.uk/2014/02/flooding-on-somerset-levels-and.html. A raindrop has a certain mass and an associated kinetic energy, which causes breakdown at the soil surface. Extreme rainfall events mean larger drop-sizes with higher kinetic energy and more damage to the soil surface, which exacerbates runoff. By planting on the diagonal, not up and down in rows, and planting grass strips between the plants, runoff is slowed down. A surprisingly effective innovation is to put straw over the ground, as a mulch, which takes the energy out of the raindrops directly and acts as a blanket to absorb some of the water and slow down the runoff. When the ground is left bare, raindrops hit the earth with sufficient force to break up the soil. Runoff water soon begins to form and carries soil way. The straw absorbs the impact from the raindrops and the runoff is vastly reduced. It is remarkable that something so low-tech as straw is as effective as this, and while these ideas are beginning to spread, commitment and effort to change and adapt will prove critical to preserving the soils. It is indeed great programme, but why full version isn't available anymore? I had watched it some months ago, still remember some parts very well, and wished to see it again while reading Paul Shepard's seminal book "Thinking Animals", part with the title "Preparing the soil for thought", but to my bad disappointment I couldn't find and watch full programme: "Deep, down and dirty: Science of the Soil"! Do you know another address on the web where I can find the full issue? Brilliantly written article, thank you for it! More than a compensation for missing programme. As you say, the BBC seem to have taken the programme down from iplayer. I've looked for another version via google but there is noting obvious. There are some "downloads" that don't seem to download! I'm not sure what to suggest. Did you know you can create short urls with AdFly and receive money from every visitor to your short links. Wheat Rust: "The Death of Grass"? 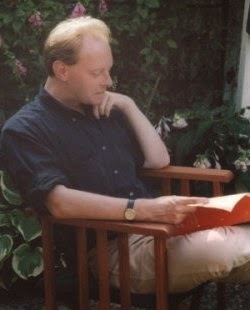 Professor Chris Rhodes. Watermark theme. Powered by Blogger.